Or maybe not. But I found this at Whole Foods the other day. 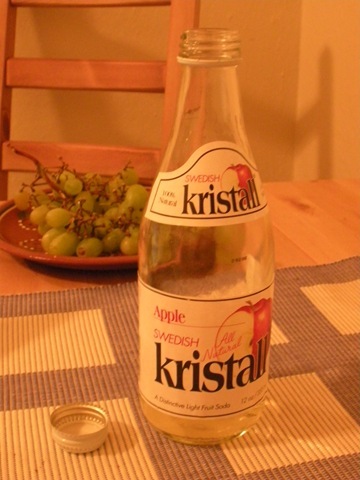 I have of course never seen this brand in Sweden, but it is similar to what can be bought under the label non-alcoholic Cider in the food stores (some kind of carbonated apple or pear beverage). And no, I don’t recommend it. The Swedish version has definitely more taste, and even that is not exactly a quality drink. No, a carafe of cold water with pieces of apples in is definitely a good alternative to this!